Win your share of $2K in #BRK! Play in the inaugural @BreakoutPoker Pro Bounty Freeroll deep stack tournament and win your share of the guaranteed prize pool, PLUS an additional $50 #BRK bounty on each Breakout Pro! 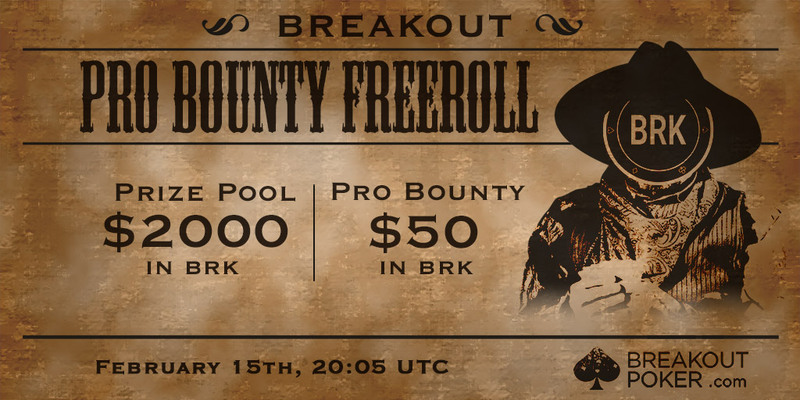 Win Your Share of $2K in BRK in the Breakout Pro Bounty Freeroll! PLUS an additional $50 in BRK as a bounty on each Breakout Pro!